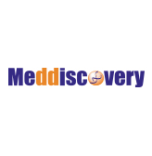 Med Discovery is a Swiss biopharmaceutical company dedicated to the discovery and the development of highly specific treatments for uro-genital cancers. Med Discovery develops protein-based drugs based on the optimization of natural proteins involved in the regulation of biological pathways. To achieve our goals, we are leveraging a unique in-house expertise in kallikreins, the biggest class of human proteases, combined with an international network in clinical urology. Med Discovery’s lead compound for prostate cancer is currently entering clinical phase I trials. Our business model is the clinical development and validation of this innovative drug MDPK67b until Phase II (clinical efficacy) in prostate cancer.